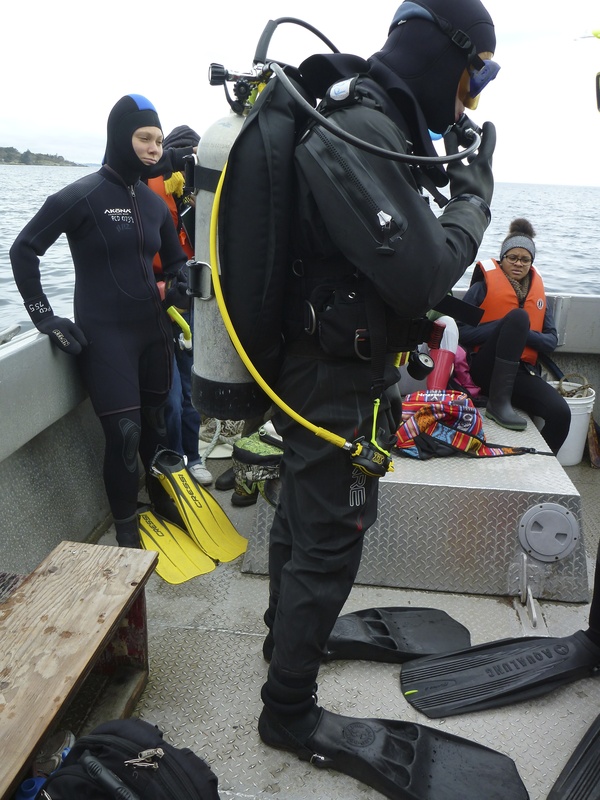 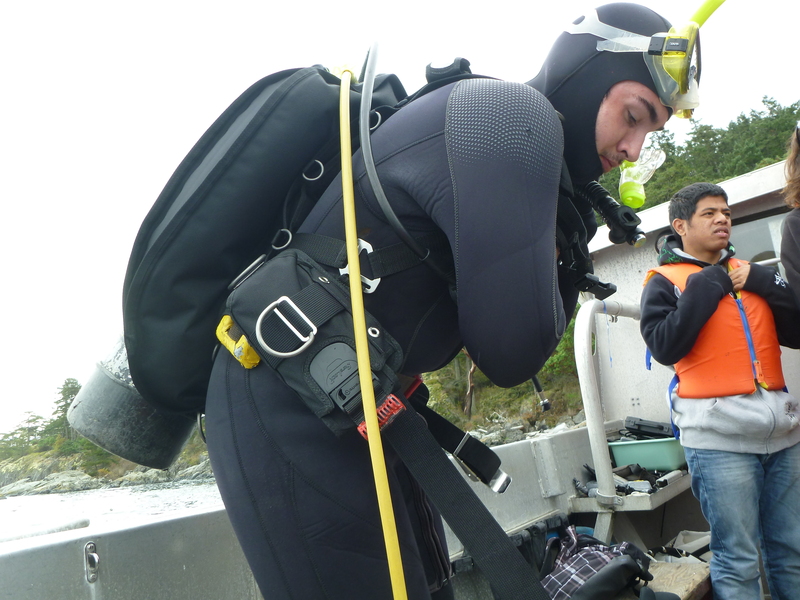 There was a lot going on for divers at Fossil Point on Friday 6 November. 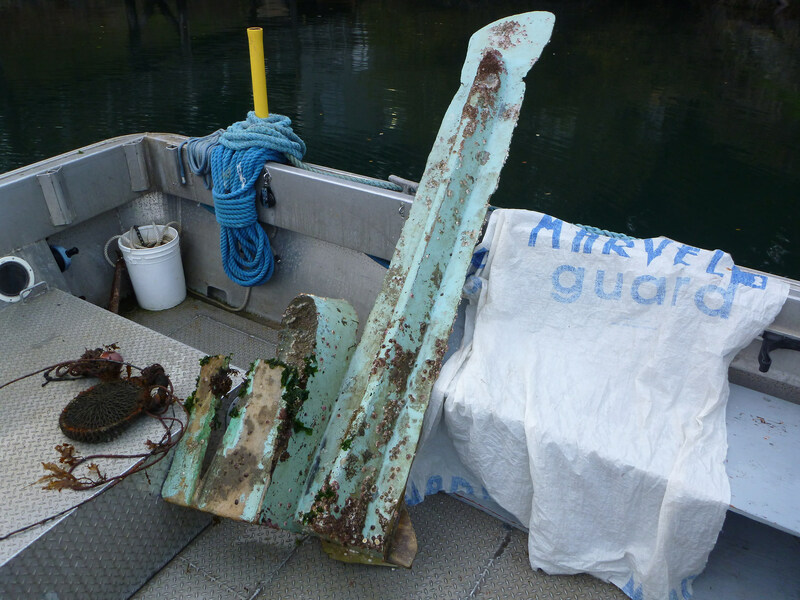 Their challenge was to collect marine debris – I was expecting some fishing lures & line, a bit of plastic debris, maybe some rope, but Kevin & Ian brought up the bottom of a boat!! 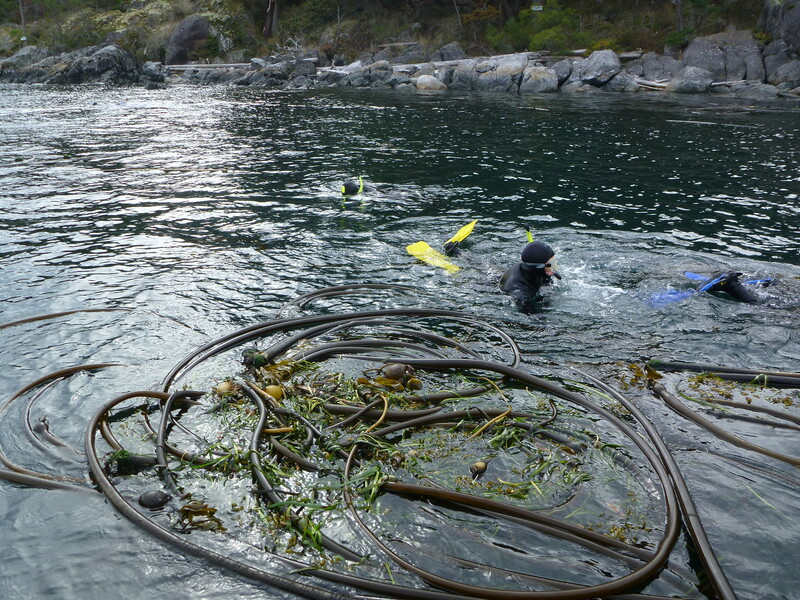 Courtney found some derelict fishing gear underwater and there was a white tarp floating at the surface which we collected as well. 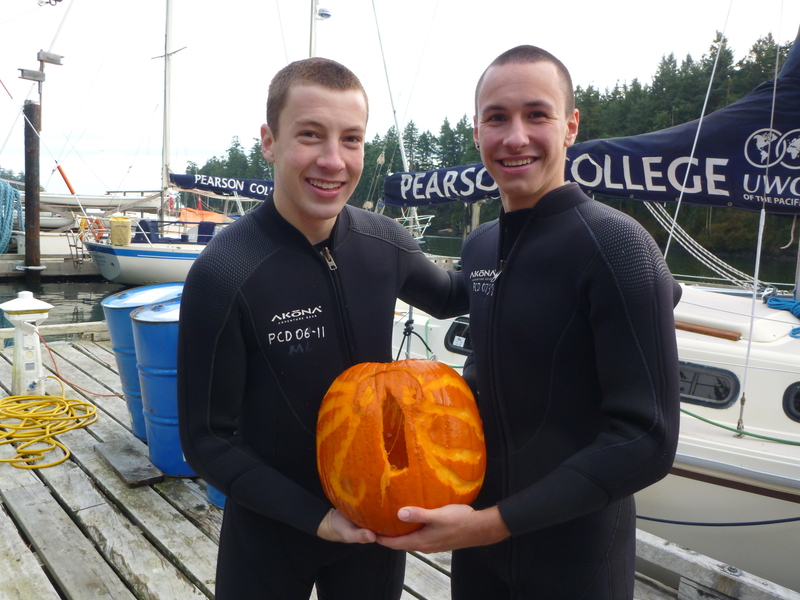 Isaac and Benoit missed their opportunity to participate in the underwater pumpkin carving competition during CAS week, so they brought their pumpkin underwater with them and carved it at Fossil Point. 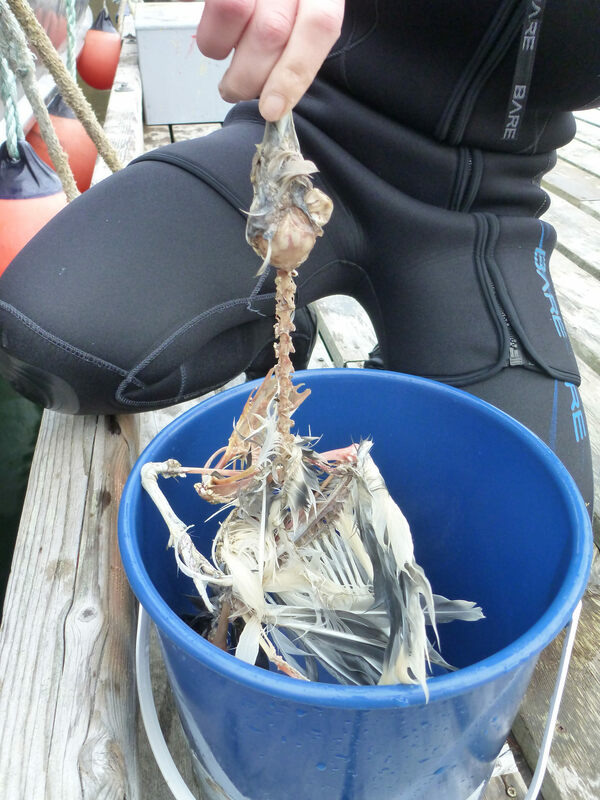 Alashua & Malou found some small pieces of garbage underwater and a mostly intact bird skeleton! 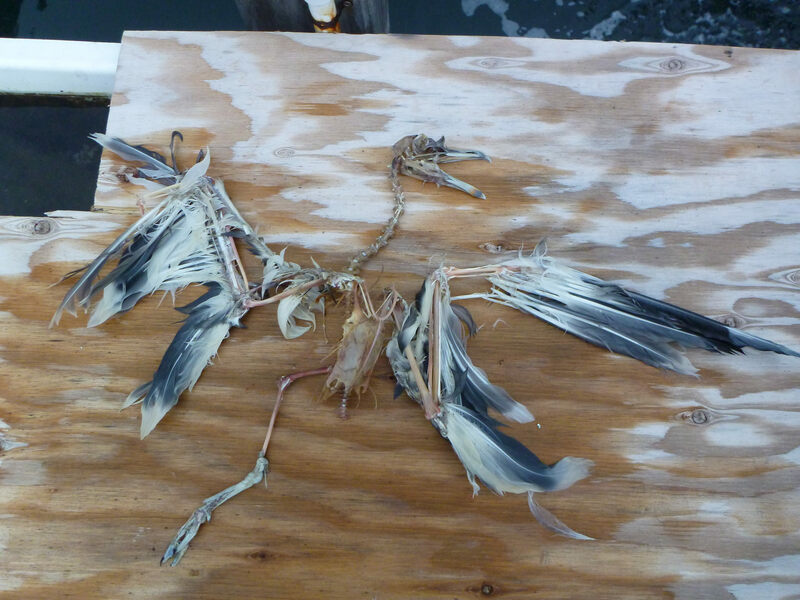 It may be a Thayer’s gull? 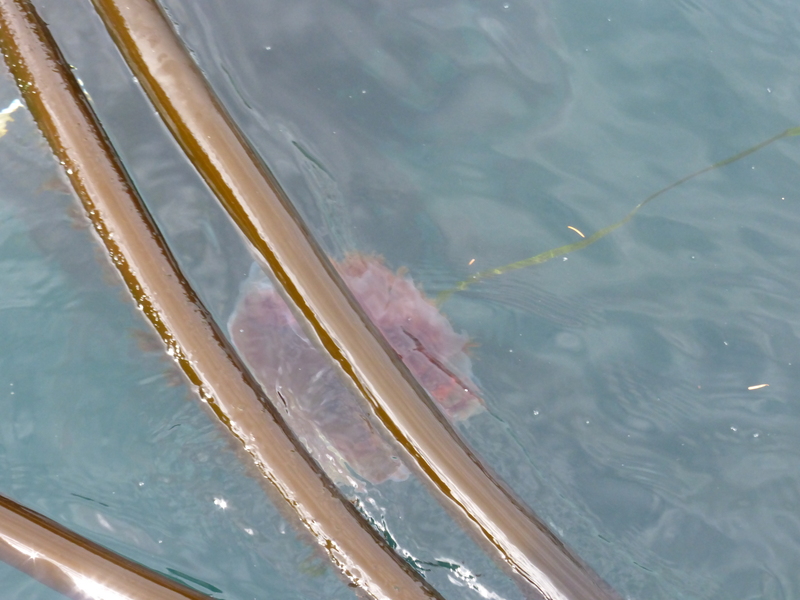 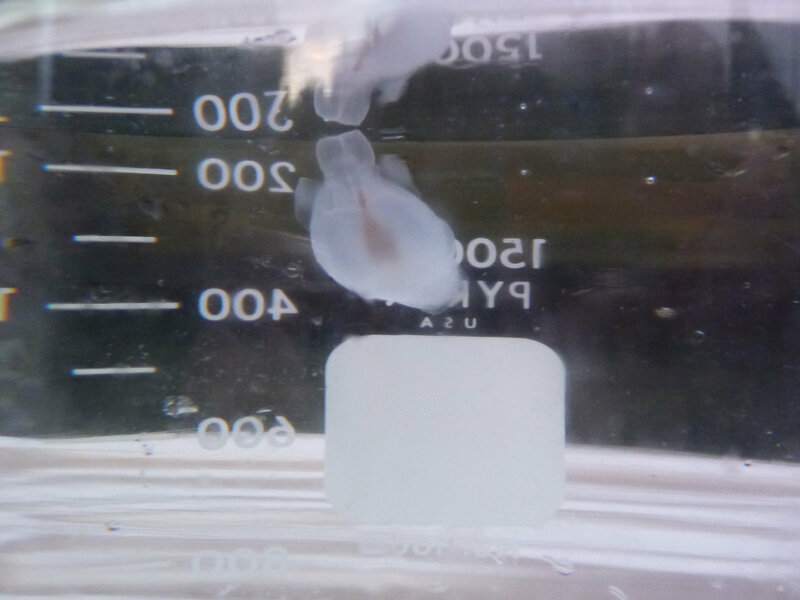 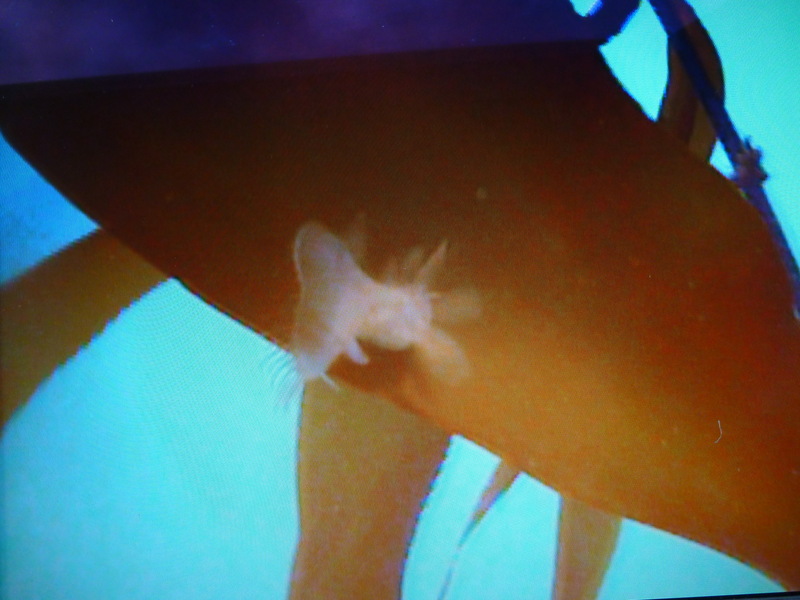 While I was waiting for divers to surface, I also collected some floating debris that was drifting past the boat along with a pteropod / sea butterfly. 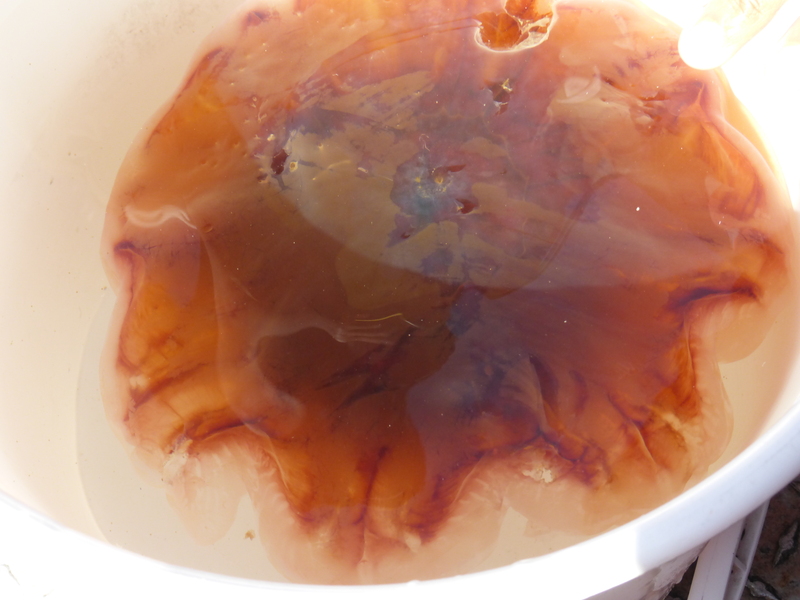 It was a busy & wonderful afternoon! 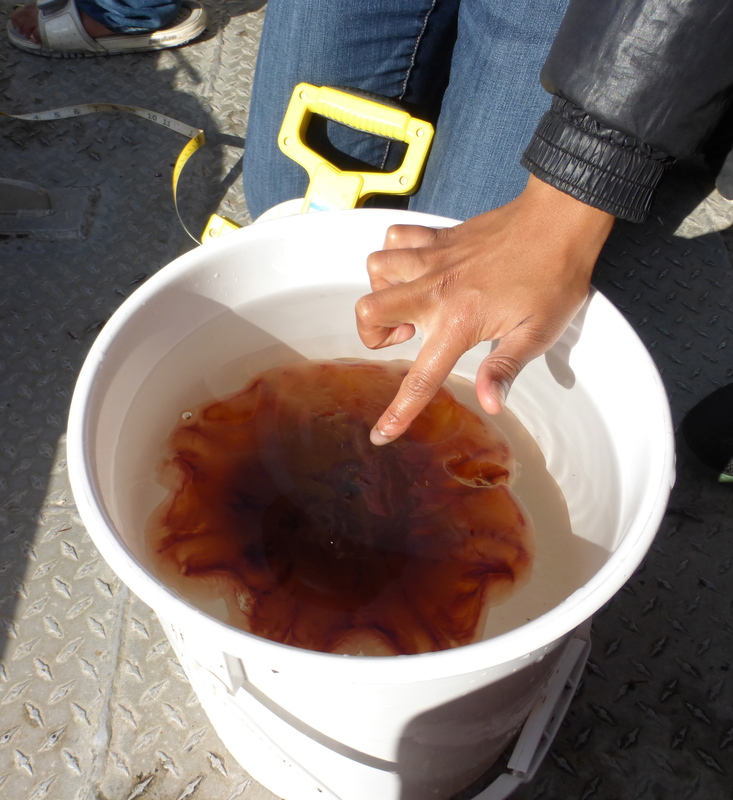 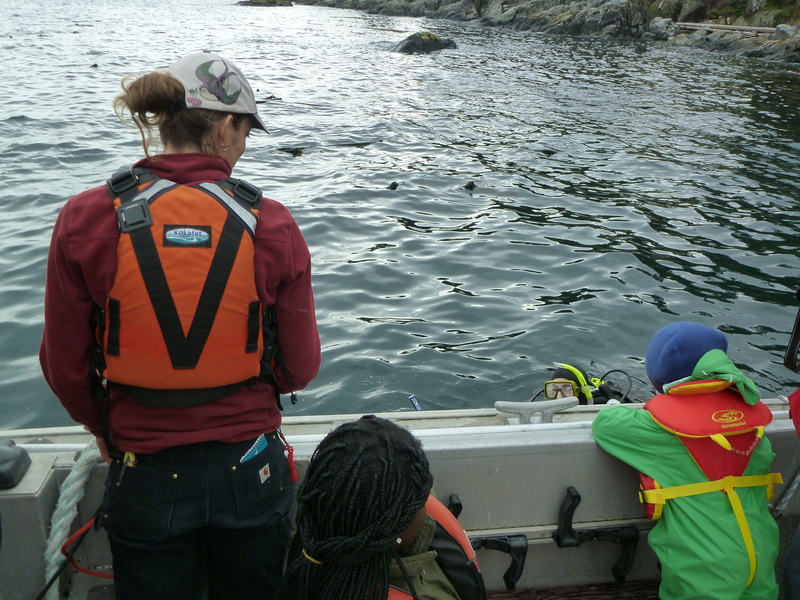 Friday 10 October and Tuesday 14 October, second year marine scientists did the annual field trip to the Nereocystis kelp forest at Fossil Point. 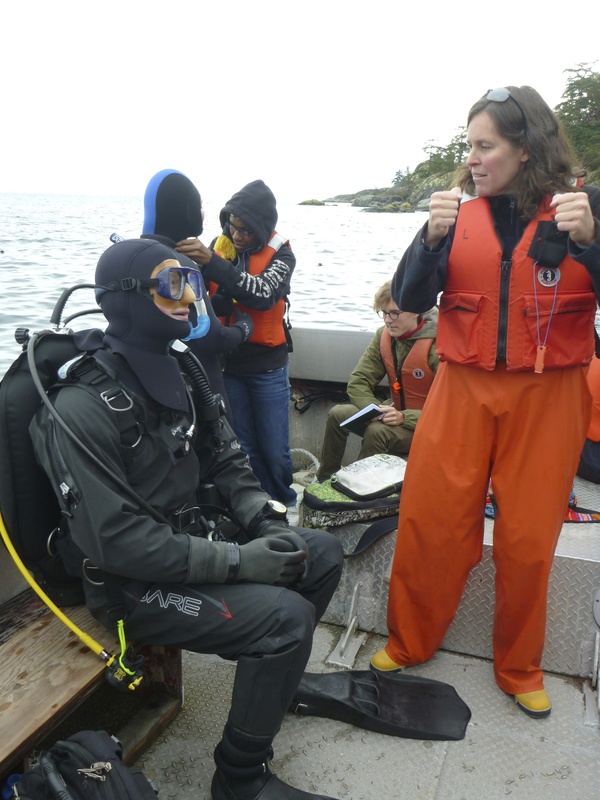 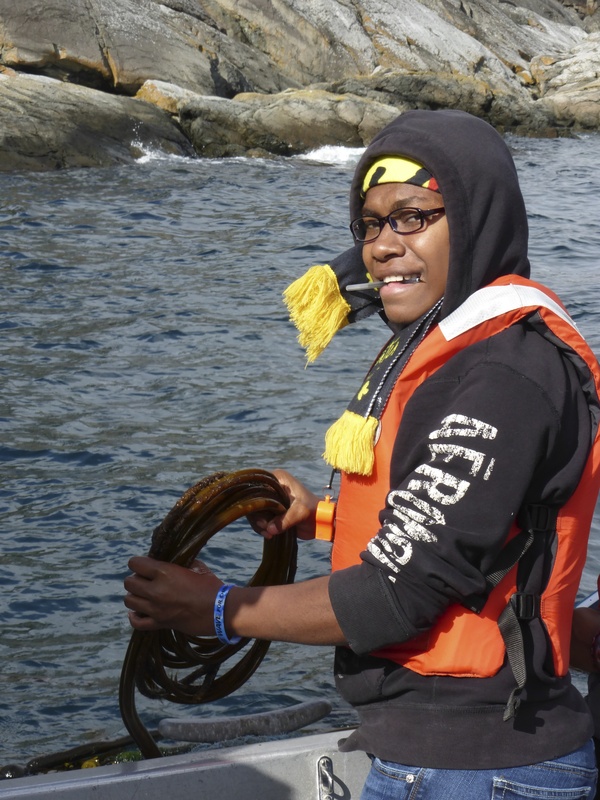 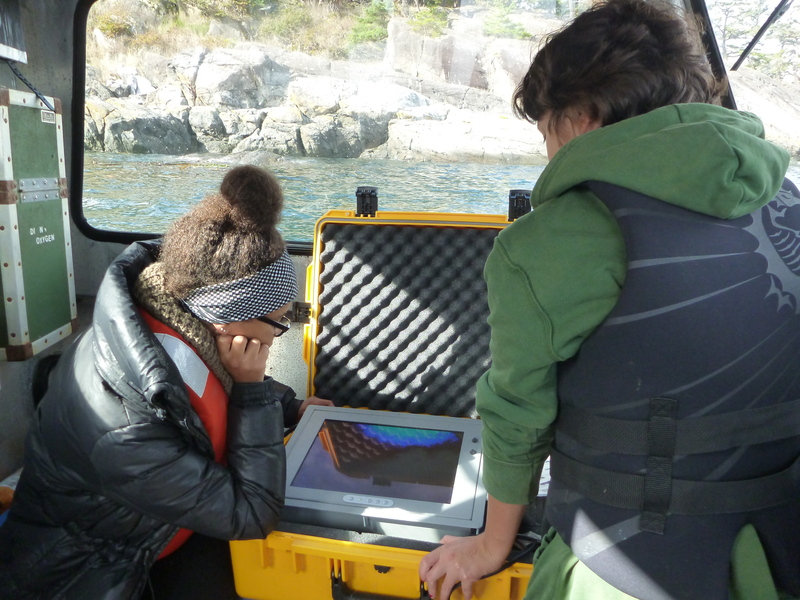 This is one of the very best field trips we do in the IB Marine Science course at Pearson College. 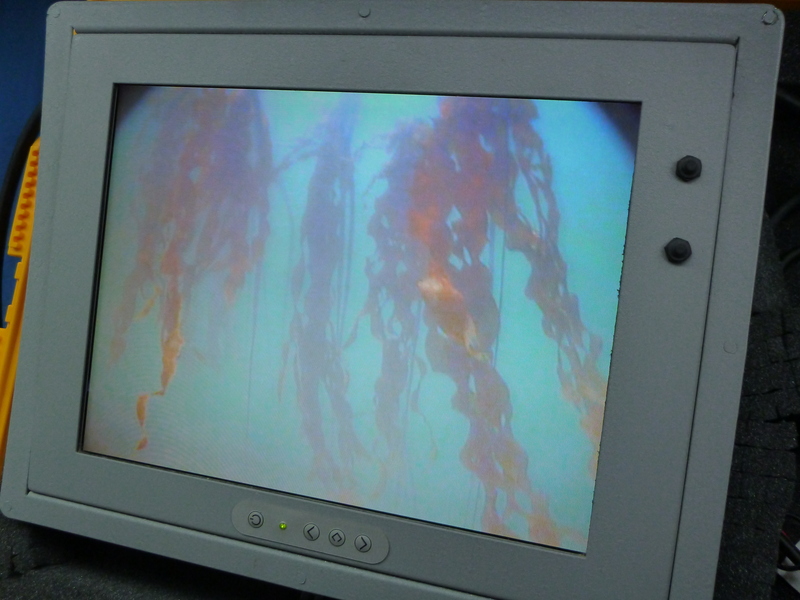 Divers get into the water with a camera that is tethered to a monitor on our boat ‘Second Nature’ so that non-divers can experience the kelp forest along with the divers. 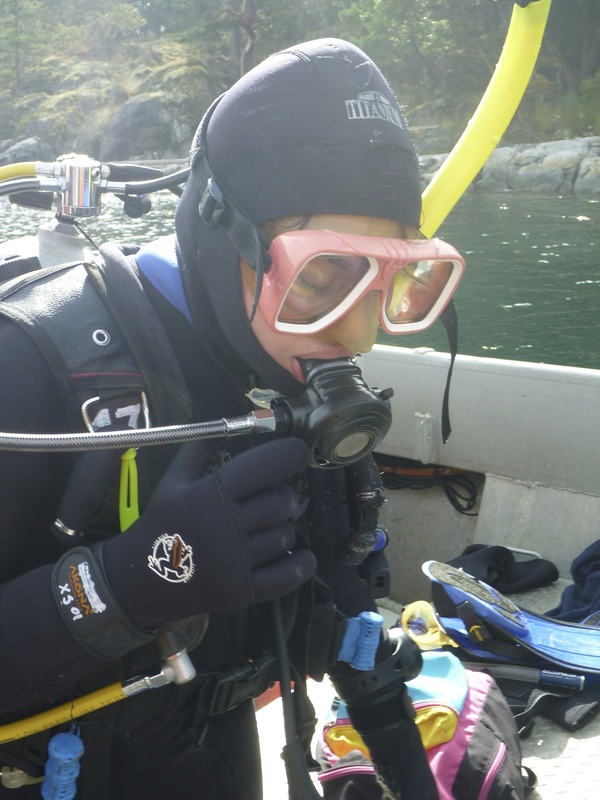 Yam (below), Riikka and Tyleisha did the dive on Friday. 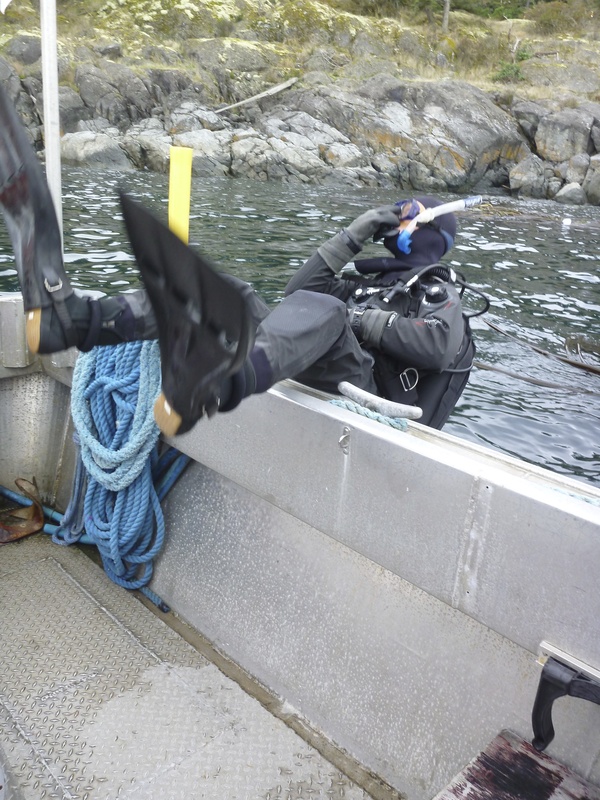 Stuart (below) and Martin (even further below) did the dive on Tuesday. 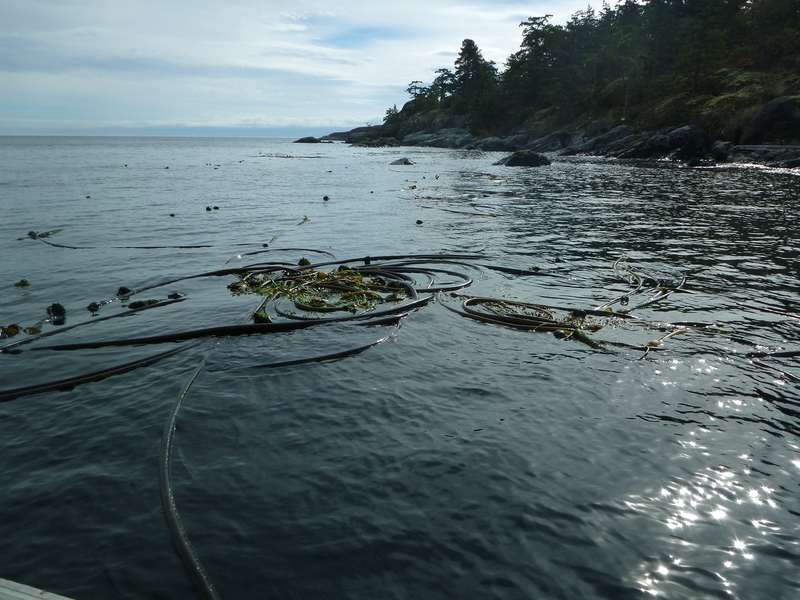 …before rolling off of ‘Second Nature’. 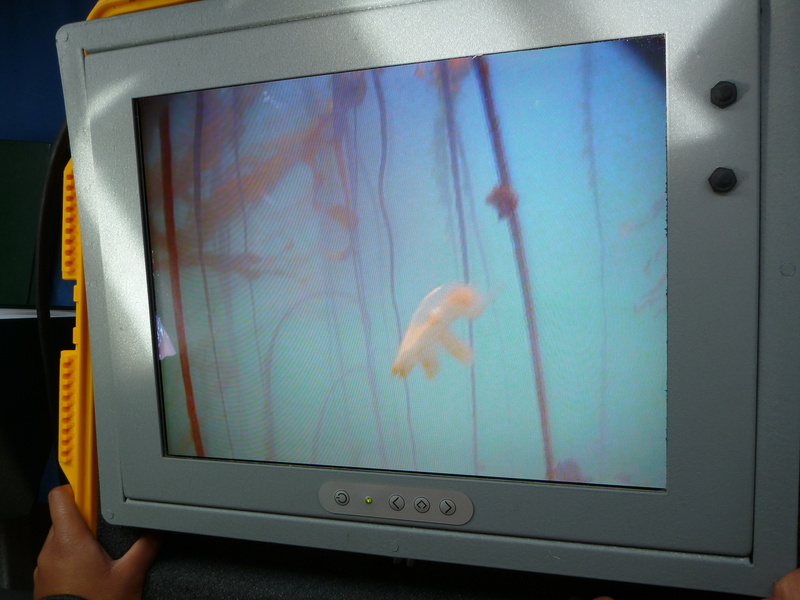 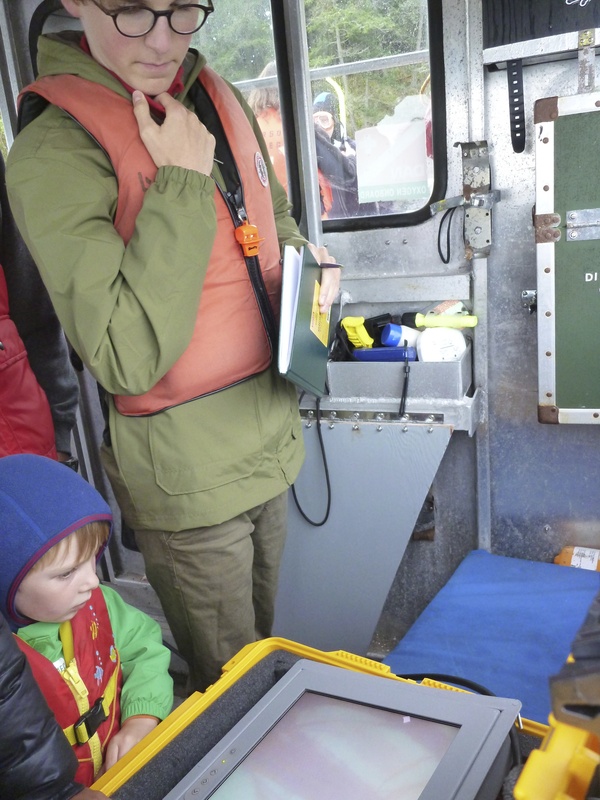 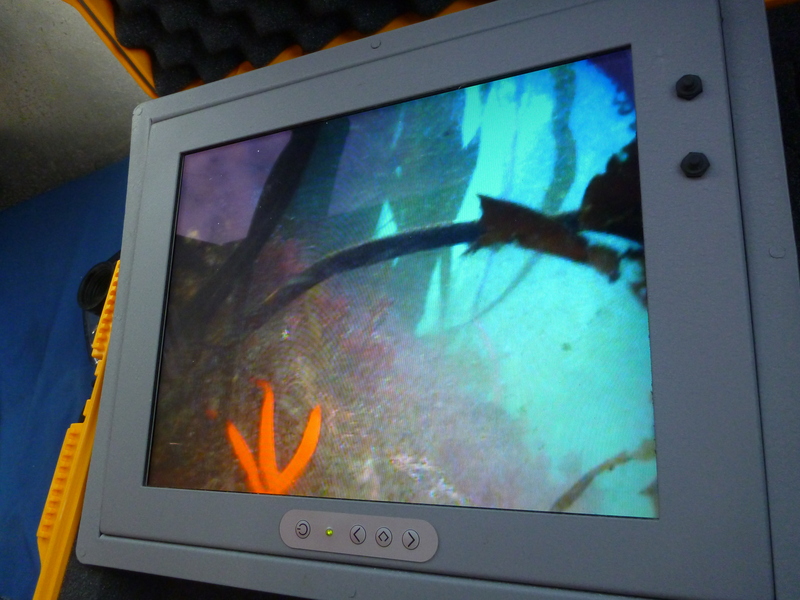 The divers descend with the camera so that everyone on board can see what they see on the monitor in the cabin. 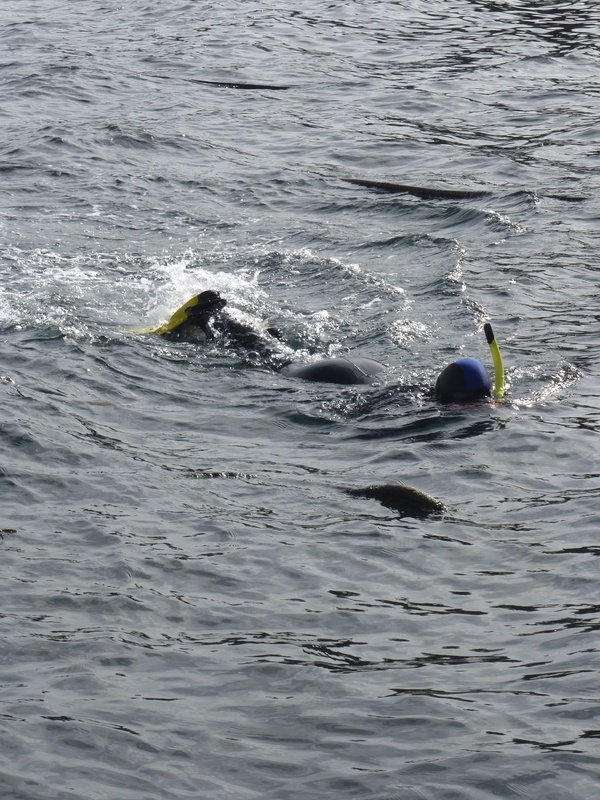 Non-divers are invited to snorkel around the surface of the kelp forest and have a wonderful time acting like sea otters. 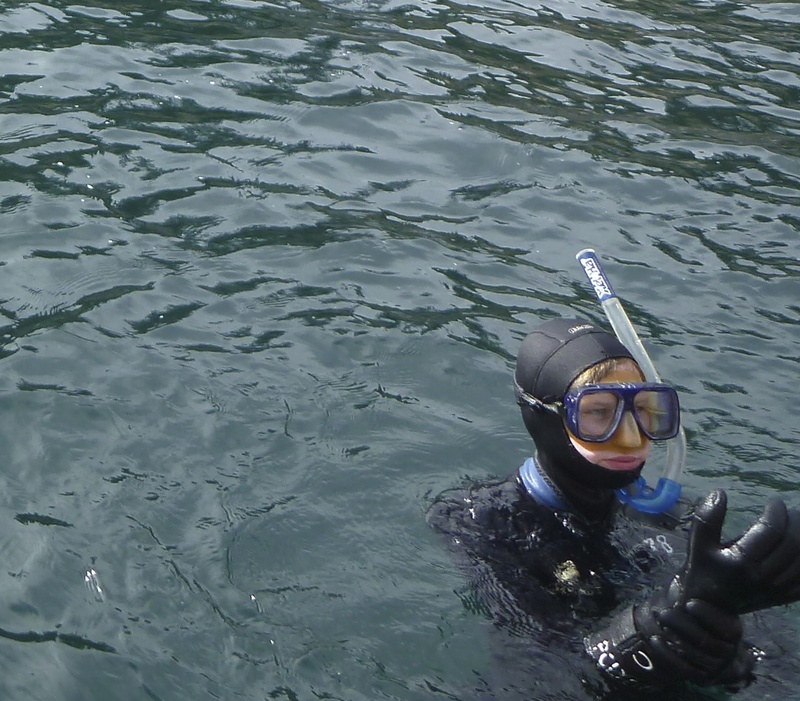 Thanks to Courtney for making these 2 trips happen and to the divers, snorkelers, measurers, observers and photographers. 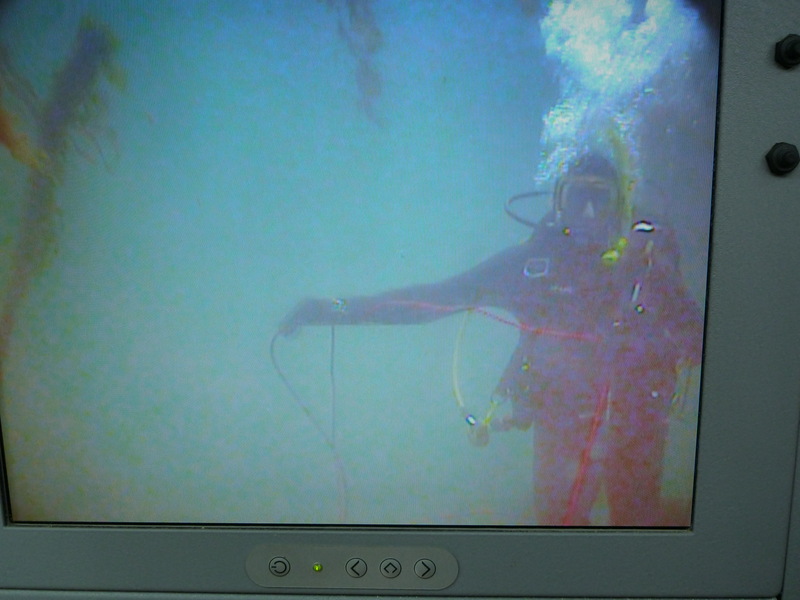 The first three clips were taken by snorkelling Steph (8 October 2013) and the last two videos are the raw footage from the dive that Lily and Lucas did at Fossil Point (10 October 2013).